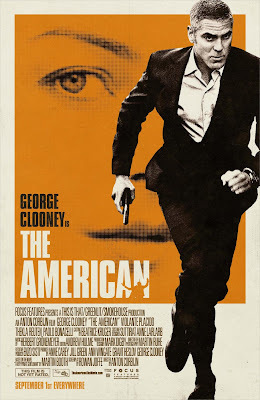 The American is the second feature of director Anton Corbijn (Control), who in his Q&A admitted that he desperately tried to move as far as possible from his debut feature, by using non-English dialogues, color use, a bankable star, and a bit of action. The result is a very solid film, although sometimes desperately trying to be more profound than it actually is. Clooney portrays the titular American, a hitman-for-hire forced to hide in an obscure Italian village, while helping a female hitman assemble a weapon. During his stay there, he attempts to connect with the locals, such as the village priest with a hidden past and the local prostitute (naturally, with a heart of gold).